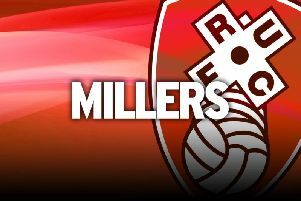 ROTHERHAM United defender Troy Brown has gone out on loan, ending a difficult time with the Millers. The club confirmed that he had joined fellow League Two club Aldershot on loan until the end of the season. Manager Andy Scott said the Welsh Under-21 international had found it difficult to settle and felt that a move south would be better for him. He began his career at Fulham but joined Rotherham in the summer from Ipswich. However, he was unable to pin down a regular place and made only four starts. His other two appearances were as a substitute, the last of them on Boxing Day. Scott has Ryan Cresswell ready to start playing again soon while Mark Bradley, who has also played in central defence, is fit again.